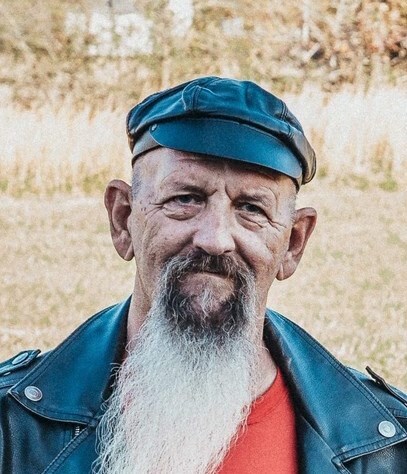 Lewis Ray "Skeeter" Swift, 64, of Liberty, died Tuesday, January 15, 2019 at Moses H. Cone Memorial Hospital in Greensboro. Celebration of Life, 2 PM, Sunday, January 20, 2019, at Sandy Creek Baptist Church, Liberty. Officiating, Rev. Travis Brock, Rev. Alvin Powell. Ray's story begins on January 9, 1955. His father and mother moved their family to Liberty when he was just a boy. Before graduating from Eastern Randolph High School in 1974, he playfully earned the nickname "Skeeter", but most probably remember him best for his crazy antics, such as "streakin" through the drive in. Rays first love was driving 18 wheelers. He provided for his family by driving countless miles for many years, even taking his daughters along for the ride. As Rays health started declining he turned in his log book and air horns for heavy equipment controls. He called Larry McDowell Construction home for many years. Most of his friends remember him as a "jack of all trades." He could fix anything, but his biggest accomplishment was being the best father to his three girls and supplying them with unconditional love. Eventually he retired and spent his days riding his Harley in his fancy denim overalls and spent his evenings dancing the night away among friends. He was preceded in death by his parents, Willis John and Ruth Greene Swift and they were waiting for him in Heaven as he gained his wings earlier this week. Survivors: Loved ones that will miss Ray until they meet again are his three daughters, April Cheek, and husband, Clint, of Seagrove, Katina Lowe, of Asheboro, Tara Swift, of Asheboro, mother of the children, and life long friend, Darlene Anderson, sisters, Bonnie Swift, of Liberty, Connie Heilig, and husband Tommy, of Liberty, brother, Willis Lee Swift, of Liberty, wife, Melanie Swift, of Liberty, seventeen grandchildren, step daughters, Misty Hancock, of Liberty, Tosha East, of Asheboro, step son, Ron East, of Liberty.